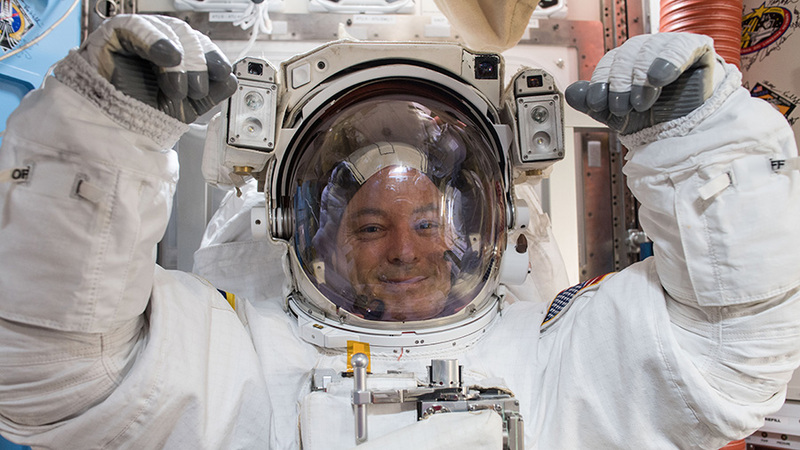 NASA astronaut Scott Tingle prepares for his first spacewalk. We just finished a 20-hour work day. 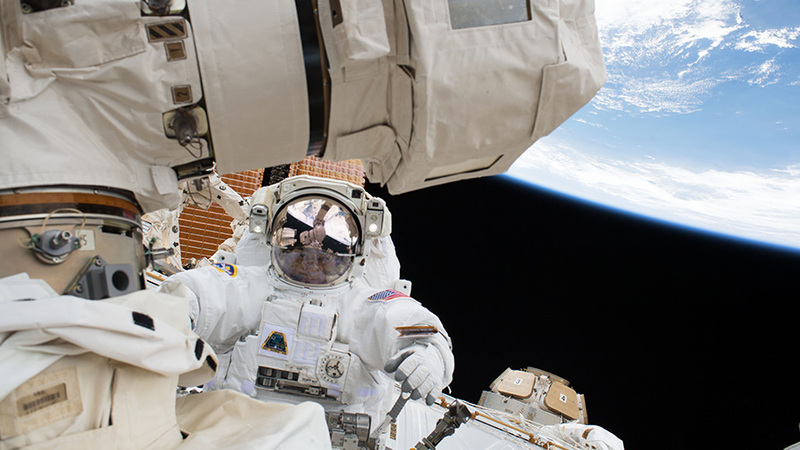 I spent nearly 11 hours in the spacesuit, and 7 hours and 24 minutes doing a spacewalk. The view was amazing. The changes from day to night, and back to day were phenomenal. My fellow astronaut Mark Vande Hei and I completed the primary task of replacing the Latching End Effector, or hand, for the robotic arm, but a software glitch kept us waiting and we were unable to complete any get-ahead tasks. I thought we had plenty of time and estimated that we had only been outside for a few hours. I was very surprised to find that we had worked for over 7 hours. Wow, I guess time really does fly by when you are having fun! That’s incredible. You guys are so awesome! I’ve been trying to save money to make a trip to FL to see NASA. Someday I will.